Views! Views! Views! 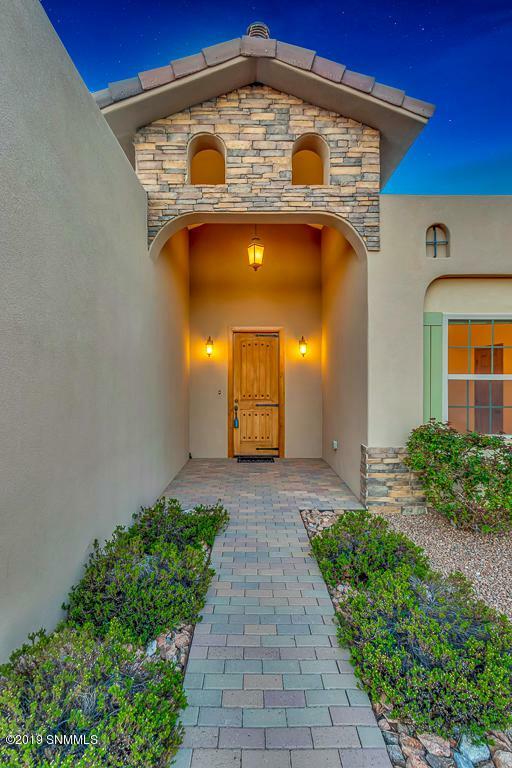 Enjoy the Organ Mountain views from the Kitchen, dining, LR & Master BR! This home offers 4 BR's +Office. Split BR plan & NO CARPET!! 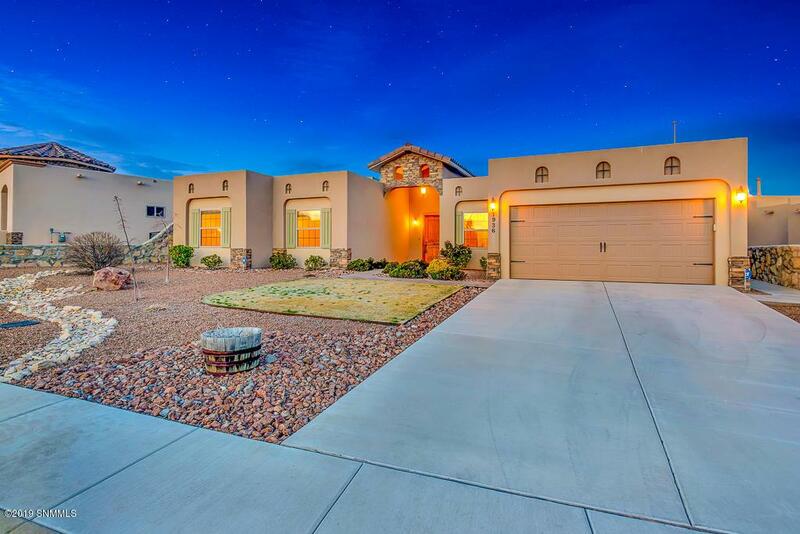 Beautiful open floor plan W/large LR that has a FP! 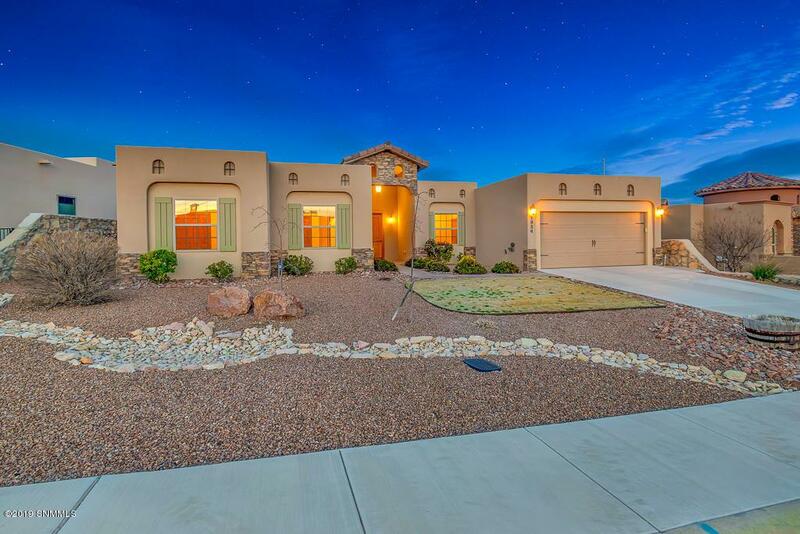 Kitchen has breakfast bar, pantry, granite counters, custom cabinets & Eating area/Dining Rm. Great floor plan for entertaining! Master Suite has laminate wood flooring. Master bath has double sinks, jet tub, glass block, tiled shower & walk-in closet! 1 of the other BR's has walk-in closet. 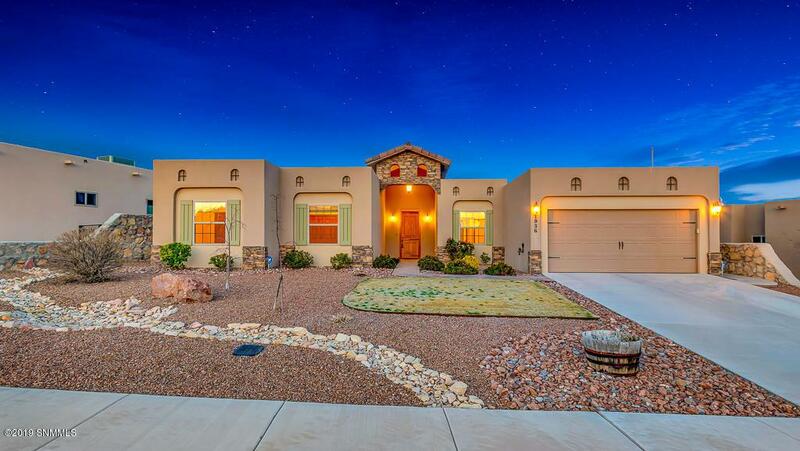 Outside you will find a green,lush backyard, over sized patio W/2 fans & an AMAZING view of the Mts. Other features include; skylights throughout, blinds in all windows, water softener, Storage area in garage, laundry room and storage shed in the back! Don't miss this home! Call for your showing today! !